How To Unblock and Watch the 115 Th US OpenThe US Open has finally begun! The annual open golf tournament of the United States is one of the four major golf championship competitions in the world. The golf tournament has been around since 1895 and numerous names in golf have already won the coveted title. US Open 2015 starts this 18th of June. Martin Kaymer of Germany won the 2014 US Open and he became the first non-British European golfer ever to win the said tournament. Will Kaymer take the title again this year? Let’s find out by tuning in to this year’s jam-packed tourney! See the action live and in real time. You can watch the US Open Golf Championship for free too! Unfortunately for the major channels broadcasting the event, you can only watch the tournament if you are in the USA. But no worries, you can still tune in and root for your favourite golfer by getting a VPN service. With a VPN you virtually move to the US (or any other country) to stream the videos you want to. It connects to a server in the USA and reroutes all traffic through that server. 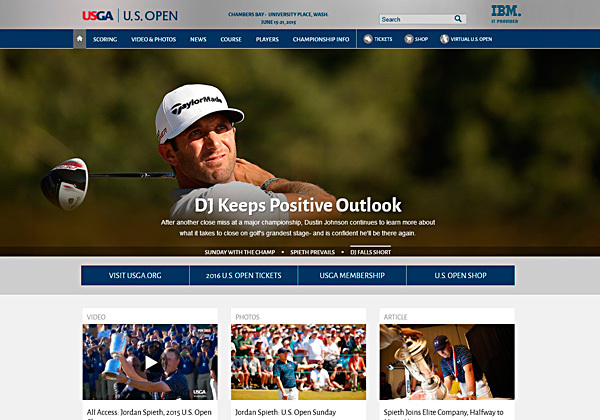 This way, you can access US streaming sites like Fox Sports or NBC Golf Channel – for FREE! Here are the channels / websites that will broadcast the tournament for free. First of all, you will want to subscribe to a VPN service that can provide reliable unblocking features and stable connections. There are a bunch of VPN services out there but there are only a few that can provide fast speeds, which is ideal for live streaming online. If you want to enjoy more channels outside US – you can find tutorials on how to watch them free on “Watch outside US“. If you want to watch the US Open on your Computer, Phone or Tablet – VPN is perfect for you. But on some devices, you cannot install a VPN software. If you want to unblock the US Open on a SmartTV, gaming console or a settop box – you can use SmartDNS instead. Yes, you may also use Smart DNS services to unblock geographic restriction particularly for streaming online shows. The thing about Smart DNS services is that they are cheaper than premium VPN packages. Unlike VPN though, Smart DNS does not provide any encryption. It works as a proxy service wherein it only masks your IP address allowing you to access certain blocked website. You will be able to unblock most channels and streaming websites with a VPN or Smart DNS service. You will also be able to set up your VPN or Smart DNS on your PC, SmartTV, set-top box and on your gaming console. For streaming purposes only, the Smart DNS option is good enough. If you need more than just streaming services though, you are better off with a VPN service. You will not only be able to unblock the streaming media, but you will also have an added layer of protection from all kinds of cyber threats. Check with your VPN or Smart DNS provider on how to configure your PC to automatically unblock streaming websites. Who’s taking part in this year’s tourney? Also known as the “Toughest test in golf”, the US open showcases the very best golf players in the world with this year’s tourney unfolding at the Chambers Bay course in University Place, Washington. Numerous players are competing in the 115th instalment of the US Open. Some of the big names competing this year are Tiger Woods, Rory McIlroy, Phil Mickelson, Graeme McDowell and Rickie Fowler. The tourney will be from June 18th to 21st. With a winning purse of US$10,000,000.00, everyone is now ready for the tough rounds of the 2015 US Open. This year’s US Open is also historical in a sense that it is the first time in history that the prestigious competition will be staged in the Pacific Northwest. Watch the US Open by using either a VPN or a SmartDNS service! With a VPN or SmartDNS, you will never miss your favourite shows ever!